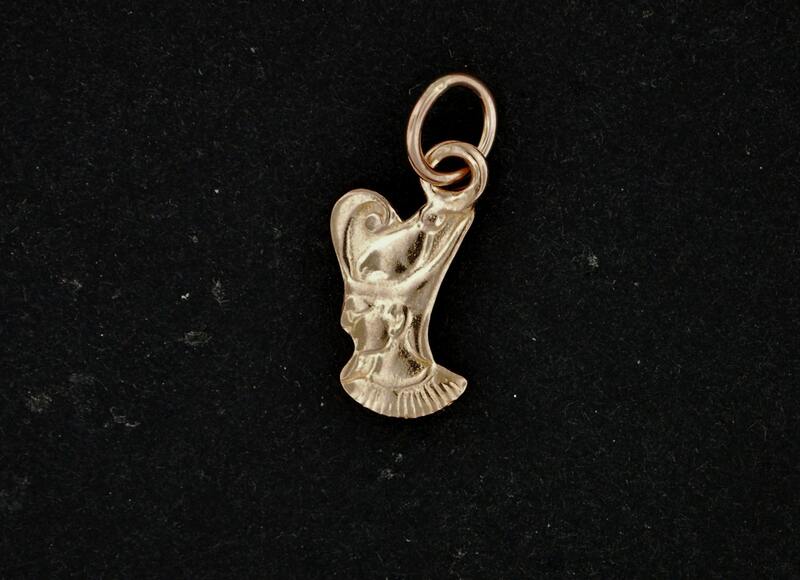 This is a one in a series of charms I've made in both sterling silver and antique bronze that are 1.8cm long. This one is of Osiris, the king of the Egyptian underworld. I've made this one in antique bronze which is 90% copper and 10% tin. The original charms came from Egypt but were in base metal and could not be worn by a client due to allergies. I made a mold of each one then made them in gold for my client. I was given permission to then use them for stock. Osiris was an Egyptian god, usually identified as the god of the afterlife, the underworld and the dead. He was classically depicted as a green-skinned man with a pharaoh's beard, partially mummy-wrapped at the legs, wearing a distinctive crown with two large ostrich feathers at either side, and holding a symbolic crook and flail. The pharaohs of Egypt would then dress like him to prove they had divine right to rule.